Like a faint whisper on the breeze, it floats just beyond your reach. The gentle waft of damp cardboard. You wrack your brain trying to figure out what that hint of a smell is. Ahh, that’s it: warped Globite school cases. Another step up into the tired old bus and immediately there’s a feeling of déjà vu. Your mind zips back to when this old girl was packed with school kids lurching in their seats. The stench of oil, metal, damp blazers and warm devon and sauce sandwiches is gone, but the shrieks of kids seem to cling to the metal handrails. With a “pffff” of warm acrid air, you sit down on the patchy, mottled-green vinyl bench seat stained with the leg, bottom and back sweat of thousands of pubescent bodies. Breathe on a greasy window and your mind’s eye can almost make out “EM 4 DH” hastily scrawled inside a smudged love heart. 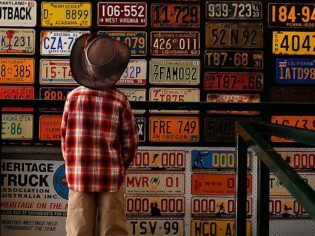 In the massive farm shed that houses the oldest, most fragile prizes owned by the National Road Transport Hall of Fame in Alice Springs, a little boy stares gobsmacked at the endless rows of number plates reaching to the roof. Nearby, a portly middle-aged woman in shorts and oversized sunnies is crowing over the Leyland trucks she remembers from childhood. Rotund hubby’s more interested in the new models. The National Road Transport Hall of Fame is an easy half-day excursion. Kurt Johannsen famously first used the road train to move freight up the Stuart Highway from Alice after WWII. His giant Diamond T road train is impressive, and on display. 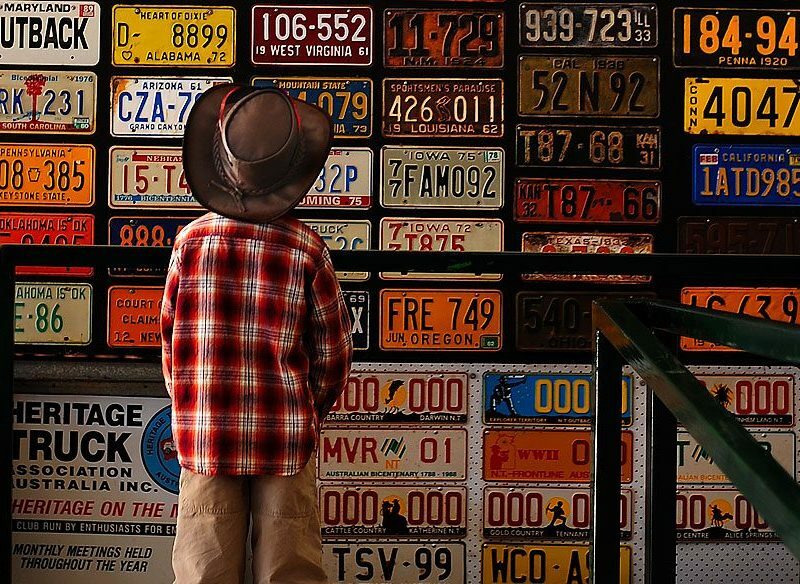 Visitors can wander through the truck museum, 11 themed rooms, pioneers’ wall of fame and a huge restoration and workshop area. Many vehicles have been restored by the volunteers who run the place, but many remain in their original state. Dozens of rusty jalopies lie around the yard, exactly as they were when last heaved off the paddock, number plates hanging, sagging tyres disintegrating into dust, lights hanging out of their sockets like a drunk on the morning after. The museum is home to more than 100 trucks in various stages of disrepair, including some of Australia’s rarest commercial vehicles; our first purpose road train (the 1932 AEC), the 1957 Rotinoff Viscount road trains and a 1418 Benz. There’s also a T Model Ford Ute, military vehicles, a B-Model Mack truck, a 1954 side valve Ford flat tray truck, steam engines, fire engines, carters’ vans, heavy machinery, photographic displays and more. But the Hall of Fame isn’t just about the vehicles. It also showcases the characters who drove them. Take legendary female truckie Thora “Toots” Holtzhiemer. The lifeline of Aboriginal communities on Cape York Peninsula, she’d load her truck and drive it north about once a week through wet or dry. She’d never fail to help a fellow truckie in trouble, but always knocked it back when she became bogged or had a flat tyre.